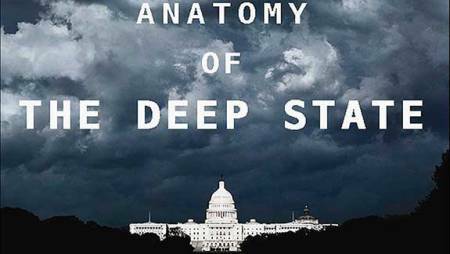 The DS has been around for a very long time and its secretive shadowy members have known that defeating America would be impossible unless it was done very slowly and methodically. They knew that it would have to be America itself that defeated America from within. Much of the ground work was laid by the Democratic Party by defeating the American Indians, enslaving the blacks and later using them to create racial division. 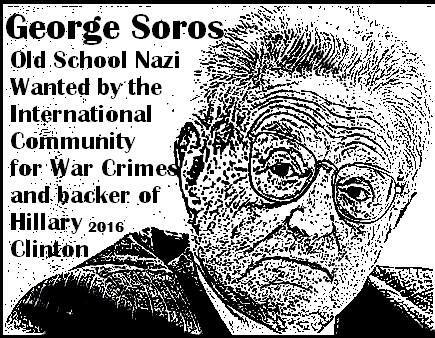 However the German Nazis borrowed that same mode of operation to destroy the Jewish communities in Germany and other parts of Europe. Hitler also greatly expanded on these tactics and gave birth to Mien Kampf in 1925 that laid out the plan to overthrow Germany. The DS has controlled all US presidents since Kennedy except for Ronald Reagan and Donald Trump and some even before that including Franklin Roosevelt who was supportive of a “One World Government”. The DS has most likely also controlled the leaders of many other countries as well including Australia and Canada. The DS has controlled the media since 1917 our currency since 1913, the public school system and Universities, Hollywood, most of the 1200 plus government agencies and the US Congress. The DS knew that in order to destroy a nation, you had to convince the people that their country was born corrupt by corrupt people and that they had been used and lied to. Never mind that these people would be destroying the very freedoms that they not only enjoy but of which they are using to destroy them. The Democrats and the chances of the DS to succeed would have died a rightful death if the Democrats had allowed the Republicans to keep the economy humming. The Democrats knew that the Republicans would have sooner taught people to fish and that would have aided the Republicans. So the Democrats sought ways to drop anchor on the economy through taxation and then in return award those affected with welfare and that has been their base for some time and for all practical purposes their only real base. Linden Johnson out of frustration and anger once was quoted, “I’ll have those niggers voting Democratic for 200 years.” That statement was indeed a welfare game plan. As of late, the GOP has been working even harder to try and ensure all of their candidates are RINO’s in order to throw the elections to the Democrat party or keep the Congress in check with the DS. In fact the DS ensured that the GOP would stop Ron Paul from being nominated as the Presidential Candidate, and as a PCO Officer I got to witness first hand at exactly how they managed to do it. It was criminal and quite possibly treasonous in nature all under the guise of “Parliament Procedures”. Mitt Romney was chosen simply because the DS needed a GOP candidate that could and would ensure that America elected its first black Democrat president who also happened to be a shadow figure with dubious and secretive past with several fake Social Security numbers a fake birth certificate. After a hundred or more years of spending tons of money to control so much of America the DS was eager to cash in on their investment and was hopeful that Obama could drive in the last nail of America’s coffin and he nearly succeeded by passing the so called “Affordable Healthcare Act” that was anything but affordable or much about health care either. It became obvious that Obama even after securing the second election, I will refrain from say WINNING the election, was not going to be able to finish the job primarily because the National Rifleman’s Association had much influence on Congress as well. Without a national ban on firearms, the DS knew that it could not finish the American coup so they needed yet another stool pidgin puppet in office to try and finish the job and along came Hillary. Perhaps if they had waited for one more generation to be indoctrinated by Hollywood, the Saturday morning comics, the MSM, the Universities and the Public School System, they might have succeeded. What they failed to realize was that people were starting to catch on, taking to social media for their information and starting to mistrust government and the media. What they didn’t see coming was a well educated, highly intelligent, no nonsense and very successful businessman with a very high IQ would catch on with the people who were becoming more and more fearful for their well being. What they should have know was that intelligent people would see right through Hillary Rodham Clinton and run to the polls to ensure that she was defeated out of shear fear. This brings America to a very troubling cross road; Trump is brilliantly working hard to right America and bring back prosperity, trying to drain the swamp that is filled to the brim with extremely dangerous and unscrupulous creatures and he is pretty much on his own except for the people who elected him to office. Meanwhile the creatures from the swamp have stepped so far over the line of criminality and treason that they can not afford to stop trying to overthrow the government and will resort to anything to succeed in their quest for complete destruction of liberty just to keep them selves free and out of the clutches of the hangman. As you can see, we are dealing with desperate and diabolical people with an unlimited cash source of both your stolen tax dollar money and their own deep pockets. They will stop at nothing to succeed and will resort to unthinkable things to get what they want. In fact they have already dealt with unthinkable things both around the world and also here in America, where these things just don’t happen. What is a False Flag Event? The most famous was one contrived by the Nazis to create an excuse to invade Poland at the beginning of World War Two. A group of Nazi Gestapo set fire to a library, dressed some unfortunate folks, who were at hand, in Polish army uniforms, shot them and left them as evidence of a false attack by Poland. Another and more sinister false flag event was one on American soil that killed several thousand office workers and wrought total destruction of three financial high rise buildings in New York City. This one was blamed on Bin Laden and several camel jockeys who took government aided flying lessons in America but reportedly had no interest in learning how to land the craft. To this day, in spite of volumes of evidence that clearly demonstrates that the feasibility of two planes bringing down three buildings, in the precise manner as they did, is preposterous, and it is still heralded as fact by the supporters of the Deep State. The reason for this False Flag Event? It created a brand new gigantic government agency that keeps far better track of US citizens than the camel jockeys that supposedly flew various airplanes into buildings. Now you know the who, or should by now, can you spell FED, you know the why, how it has been played out and how desperate they are. The big question is: What will be the next false flag event? They killed Lincoln, killed Kennedy and tried to kill Reagan of which all were non DS members. Trump is also not a DS member and he is America’s last hope. Think about that. Born in Montana and have been making knives for the past 40 years.